The Second Judicial District Commission on Judicial Performance, on a vote of 10-0, unanimously recommends that Judge William D. Robbins BE RETAINED. 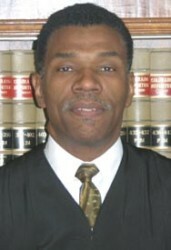 Judge Robbins was appointed to the District Court in 2002. Prior to his appointment, Judge Robbins was a Chief Deputy District Attorney in Denver having worked in the Denver District Attorney’s Office for more than a decade. Before attending law school and passing the bar, he had a career as a psychiatric nurse. Judge Robbins received his undergraduate degree from the University of Colorado in 1982 and his law degree from the University of Colorado in 1987. Judge Robbins is currently assigned to a domestic relations courtroom and previously has served in civil and criminal courts. The Commission reviewed the results of surveys of lawyers, non-lawyers and appellate judges who were familiar with Judge Robbins’ work, interviewed the judge, and reviewed his self-evaluation and three written opinions. In addition, selected members of the Commission observed Judge Robbins in court. Of attorneys completing the survey, 77% recommend retention, 19% recommend against retention, and 5% expressed no opinion. (These percentages do not total 100% due to rounding). Of non-attorneys completing the survey, 71% recommend retention, 16% recommend against retention, and 13% expressed no opinion. The results of the surveys of lawyers showed that over the past several years Judge Robbins’ overall scores have equaled or exceeded those of all district court judges in Colorado in the areas of case management, application and knowledge of the law, and demeanor. A concern of attorney survey respondents was Judge Robbins’ apparent lack of preparation. The survey comments of some lawyers and non-lawyers described Judge Robbins as seeming uninterested and inattentive. In his interview, Judge Robbins acknowledged this criticism and believes it may be attributable to how he is perceived while making an effort to listen intently. The comments also reveal that Judge Robbins was regarded by both attorney and non-attorney survey respondents as fair, consistent and neutral. Judge Robbins is aware of the challenges presented by certain emotionally charged domestic relations cases and makes a conscious effort to rule without emotion, based strictly on applying the facts and law. Judge Robbins’ three written decisions (one in a criminal case, one in a domestic relations case and one in a civil appeal from county court) adequately explained the issues presented and the basis for Judge Robbins’ rulings.